Product categories of Fire Survival Cables, we are specialized manufacturers from China, Fire Survival Cables, Fire Fighting Cables suppliers/factory, wholesale high-quality products of Fiber Optic Cable R & D and manufacturing, we have the perfect after-sales service and technical support. Look forward to your cooperation! UL flame retardant standards mainly have the following grades: CMP, CMR, CM, CMG, CMX. This is the highest rated Plenum Cable in the UL fire protection standard. The applicable safety standard is UL910. The test stipulated that several samples should be laid on the horizontal air duct of the equipment and burned with 87.9 kW gas burner Bunsen burner (300,000 BTU/Hr). 20 minutes. Pass criteria is that the flame must not exceed 5 feet in front of the Bunsen burner flame. The peak value of the optical density is 0.5 at the maximum, and the maximum value of the average density is 0.15. This type of CMP cable is usually installed in a return air pressurizing system used in ventilation ducts or air handling equipment and has been approved by Canada and the United States. FEP / PLENUM materials that meet the UL910 standard have better flame retardancy than lower-smoke halogen-free materials that meet IEC 60332-1 and IEC 60332-3 standards, and have lower smoke concentrations. This is a commercial-grade cable in the UL standard. The applicable safety standard is UL1666. The test stipulated that a plurality of samples be laid on a vertical axis of simulation, using the specified 154.5 kilowatt gas burner (527,500 BTU/Hr) for 30 minutes. Passing the standard is that the flame cannot spread to the upper part of a 12-foot-high room. The trunk cable does not have a smoke concentration specification and is typically used for floor vertical and horizontal cabling. This is a universal cable in the UL standard. The applicable safety standard is UL 1581. The test stipulated that a number of specimens should be placed on an 8-foot-high vertical stand and burned (70,000 BTU/Hr) for 20 minutes using the prescribed 20 KW band torch. By the standard, the flame should not spread to the upper end of the cable and extinguish itself. UL1581 is similar to IEC60332-3C except that the number of installed cables is different. Commercial grade cables do not have smoke density specifications and are generally only suitable for horizontal cabling on the same floor. They should not be used for vertical wiring on the floor. This is a universal cable in the UL standard. The applicable safety standard is UL 1581. Business class and common test conditions are similar, and they are also approved for use in Canada and the United States. Universal cable does not have smoke concentration specifications. They are usually applied only to horizontal cabling on the same floor and not to vertical cabling on the floor. Low-smoke and halogen-free cables, as their name suggests, are smoke-free and halogen-free cables. The principle of low-smoke and non-halogen is that when the cable is burned in the flame, it will not produce a lot of toxic gas and smoke, so that people will not cause great casualties in the combustion, which greatly improves the people's survival rate in the fire. Flame retardant requirements: Low smoke, halogen-free cables must be flame retardant. 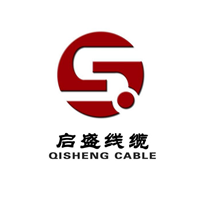 There are two flame retardant grades that are required to comply with IEC 60332.1 (vertical burning test for single cable) and IEC 60332.3C (vertical burning propagation test for bunched cable). Among them, the flame retardant requirements of IEC 60332.1 require the use of ordinary cable flame retardant requirements, while IEC 60332.3C requires relatively high flame retardant requirements at the trunk level. Smoke Density Requirements: Smoke density tests are performed on low-smoke, halogen-free cables. It uses a fire to ignite a cable in a confined space. After the flame is extinguished, the final indoor smoke density is tested. It is required that in the presence of smoke, the light transmission capability can reach 60%. This ensures that people can see in the smoke. the way. Toxicity requirements: There are several current toxicity testing methods, such as mouse experiments and so on. Halogen acid gas emission test (for low-halogen test) and gas acidity test (for halogen-free test) are used in the low-smoke halogen-free cable. The test principle is to determine the halogen content of the gas produced by the low-smoke halogen-free material at high temperatures (800°C and 935°C, respectively). Some information describes the CM class requirements of IEC 60332.1 that are equivalent to UL (IEC 60332.2 is a test method for small diameter cables, that is, an alternative test method that cannot be used when testing 60332.1), and IEC 60332.3C is equivalent to UL CMR class requirements. In fact, the test methods of the four standards are not the same and cannot be directly compared. In summary, there are two series of cables, one is the American CMX highly flame-retardant cable (the US standard clearly requires the CMX cable to contain halogen, in order to increase the temperature of the cable decomposition); the other is European FR/LSOH flame retardant/Low Smoke Zero Halogen Cable. In order to ensure the security of data, people hope that after a fire, they will have enough time to return all data before the entire network and transfer them to a safe place to minimize the possibility of data loss. Therefore, in the cable standards, there is also a type of fire protection standard called the "Line Integrity" standard. Its goal is that the cable can still keep the line open in the fire, so that the power and information can still be transmitted normally. Therefore, cables that meet the requirements for series integrity are also called fireproof cables. Chinese Standard: At 750°C, it can still work for 90 minutes (E90). German standard: At 800-850°C, it can still work for 180 minutes (FE180). Although the newly released China Data Center standard requires all cables to use CMP-grade integrated cable, that is, they can still be destroyed without damage at the temperature of 500°C, and the data can be transmitted normally, leaving a certain amount of time for emergency information backup. However, it does not meet the requirements of national standards for fireproof cables. It cannot be called fireproof cable.